May 2014 - X15 Release 2 is Here! The Stylus Studio team is very excited to share the latest and greatest version of Stylus Studio with you. Stylus Studio X15 Release 2 adds support for the latest in XML technologies while increasing performance and productivity. Read and click the links below to find out more about Stylus Studio X15 Release 2 including features, availability and more. Stylus Studio X15 Release 2 is now available. This latest update includes Saxon 9.5.1.4, DataDirect XQuery 5.0.0.0774, Apache FOP 1.1 integration, major performance enhancements through support for Oracle Java 1.8, and more. See all of the details on this update on our website. Stylus Studio X15 Release 2 is available free of charge to all active Stylus Studio AUP Subscribers. 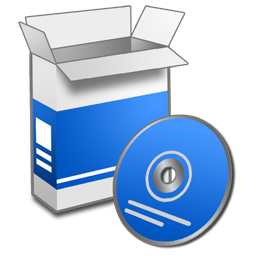 To download X15 Release 2, Click Here. If you are not an AUP subscriber, you can learn more about AUP on our website. Get a summary of the best Stylus Scoop articles and posts from 2013! Check out any articles you may have missed. The command starts the Stylus Studio installer in interactive mode. Follow the installation steps, click yes on the license page, choose the destination folder, etc. You can now install Stylus Studio on the target machine in silent mode. Create a simple text file named “X15 XML Professional Suite.key” with the activation key in it. To run the installer, use the following command line. Notice that the process returns when the installation is completed. The path to the .iss file can be different as long as there are no special characters.